How to report the fault to RiseFly Software? 2. 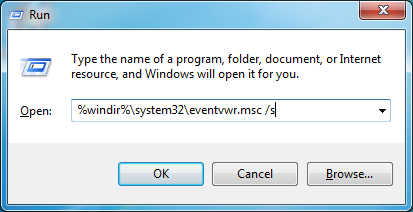 Input "%windir%\system32\eventvwr.msc /s" command in the "Open" edit box, press OK button. 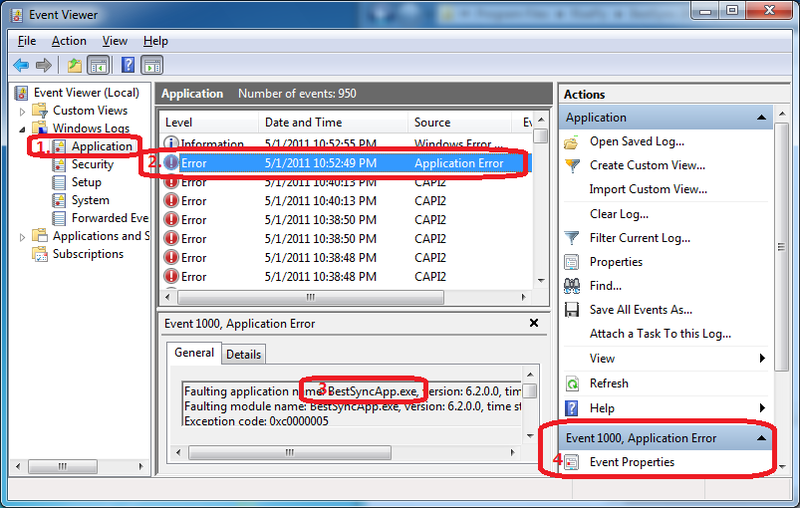 The event viewer is displayed. 3. (1)Find the "Application" node in the left tree view. (2)In the middle listview, find "Error" in the "Level" column; and "Application Error" in the "Source" column. 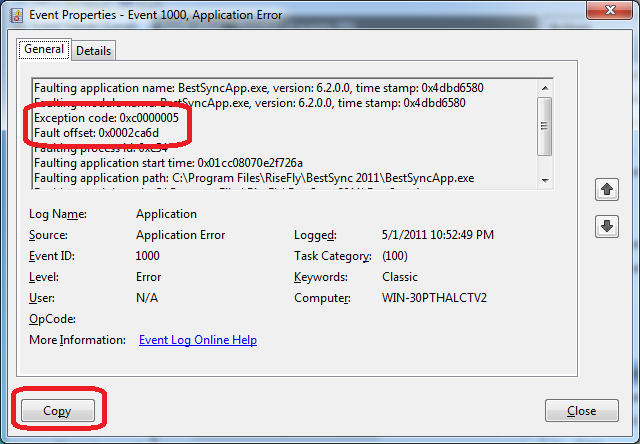 (3) Confirm the application name is "BestSyncApp.exe" in the "Error" detail window. If the application name is not "BestSyncApp.exe", find the next application error. (4) Click "Event Properties", the event details is displayed. 4. Press "Copys" button to copy the event details to the clipboard. Paste the error details to the mailer, and send it to risefly@risefly.com.